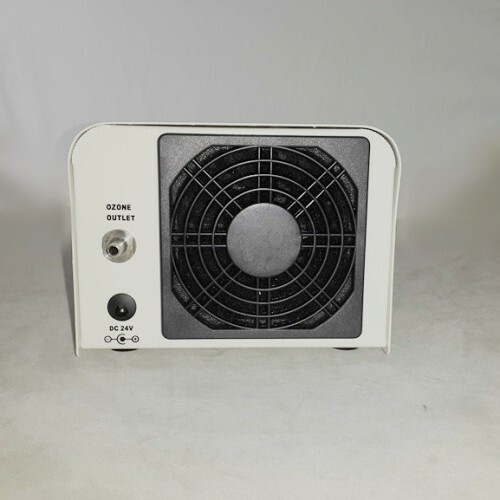 1KNT-24 is the update laboratory ozone generator of 1000BT-12 with mute working sound (<30DB). Also it has a small and simple version. 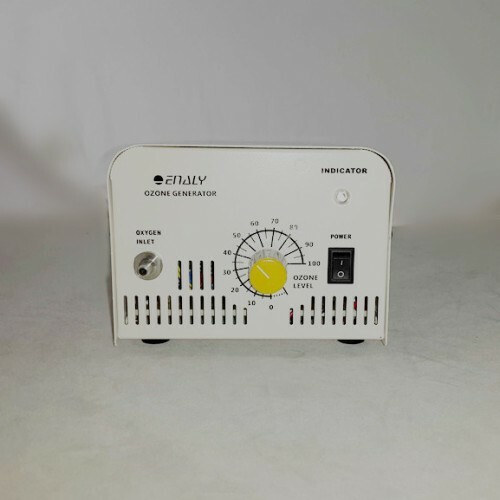 This ozone generator uses high output Corona Discharge Ozone Tube, together with a high flow ball bearing Cooling Fan (48 CFM) to ensure steady and high ozone output (up to 1000mg/hr by oxygen), ideal for treating drinking water from a water tank or a well and many other industrial applications. 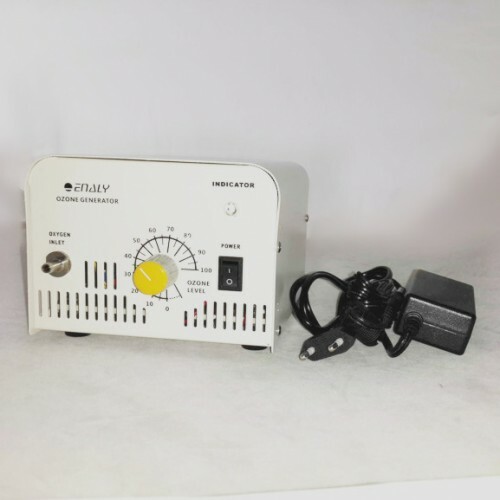 This ozone generator has no built in air pump so that it can be fed with different air sources, such as pure oxygen from an oxygen tank or an oxygen concentrator, and ambient air (with the use of an external air pump). The Ozone Output Regulating Dial allows precise ozone output adjustments (0~100%), making it ideal for working together with a Redox (ORP) controller for fish pond and aquarium applications. This ozone generator is ideal for ozone applications that require a different air source than ambient air, as well as for high ozone output applications that most other home ozone generators cannot provide. Case: High strength painted metal. Materials on Ozone Path: Glass, Stainless Steel, Silicone, High-density polyethylene. 1.No working noise (less than 30DB). 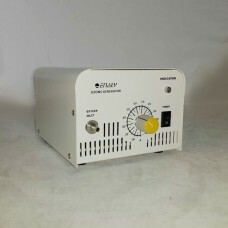 2.High output corona discharge ozone tube with low power consumption (25W). 3. High flow ball bearing cooling fan (48 CFM). 3. Precise ozone output calibration. 4. Can be fed with different air sources. 5. Compact and rugged construction.